American Express Company Information Is this your company? Add your own content to this page. 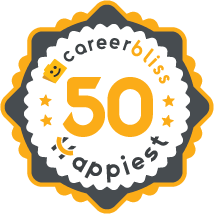 We've calculated that the average salary at American Express is $52K based on 3,046 user-submitted salaries A total of 620 American Express employees gave American Express an average happiness rating of 4.1 out of 5.0. 182 Customer Service Representatives from American Express submitted salaries. Yes, remove the limits that hinder professionals from doing there jobs. Listen to what the customers are telling you. In your TBASS reviews, that you say is the voice of the company, separate the AMEX policies from the CCP so that you can get a true scope of what your customers are saying. Become a true customer advocate by listening to your employees and the customer. Despite all you offer to the card member, your policies present the 5 star meal you offer on a garbage lid on a dumpster. Remember who carries the card and makes you the profits, remember who services the brand and keeps those who carry the card who makes you the profit happy, when your systems are not easy... when your policies are clouded... when your procedures have catches and loopholes in them. 2.9 Contracted for Amex developing mobile applications. The work environment is pretty relaxed at the office, they seem willing to let you work from home and some employees there work 100% remote. You do have demanding deadlines. They just started using Agile development methodology with Scrum, and there was some confusion on how to effectively implement this and actually make it work without burning out the developers. Speaking of burn out, the release date for the app was moved up 3 weeks. American Express (AmEx) is a banking and financial services company with over 60,000 employees. The company’s services include finance, insurance, as well as travel worldwide. The company’s revenue was $25.6 billion in 2010. Their mascot is a Roman gladiator or Centurion. In fact, BusinessWeek ranked American Express as one of the most valued brands in the entire world as well as one of the most admired companies in the world by Fortune. The company’s products include consumer cards, traveler’s cheques, financial advisors, publishing, and travel. The company is different than other banking and financial services company because they play the role of the acquiring bank, issuing bank, as well as the network. They also offer higher rewards than other companies in general. Working at American Express provides for a very flexible lifestyle. They make it a point to ensure that their employees experience a great work-life balance. America Express does this by offering telecommuting, job sharing, rearranging workweeks, and maternity leave. If you’re serious about an American Express career, check out our jobs page below.